Our nurses walked through the market passing out flyers that explained that Haiti has one of the highest rate of cervical cancer in the world, and that it is a preventable disease if it is diagnosed early. Some women commented that they had friends who died of breast or cervical cancer. On March first, women began gathering in front of the hospital at 6 a.m. waiting for the 8:30 a.m. clinic to open. Each women received a breast and gynecological examination, and was screened for cervical cancer, AIDS, syphilis, and other sexually transmitted infections. Every women who attended clinic received a bright red Medicine For Peace bracelet that said, “Promote Women’s Health”. Scores of women now walk through the market proudly sporting their colorful bracelets. By the end of the month, two patients with cervical cancer were discovered and received potentially curable surgery, ten patients with pre-cancerous cervical lesions were treated with cryosurgery, six new AIDS patients were diagnosed and placed on first line anti-retroviral drugs, and more than a hundred patients with sexually transmitted infections and other gynecological problems were diagnosed and treated. Most important, more than five hundred and fifty women were brought into the health care system. There are many lessons to be learned from MFP’s women’s health month. For a cancer prevention program to be successful, community education has to be ongoing, aggressive and unfaltering. In countries with entrenched poverty, even a minimal fee is an impediment to promoting comprehensive women’s health. If a woman has the option of a doctor’s visit or a few bowls of rice, she will opt for feeding her children. Free medical care does not promote dependency, as some assert, it just prolongs women’s lives. There is a Creole saying that explains, “Analphabet pa bet”. (We may be uneducated but we are not ignorant). 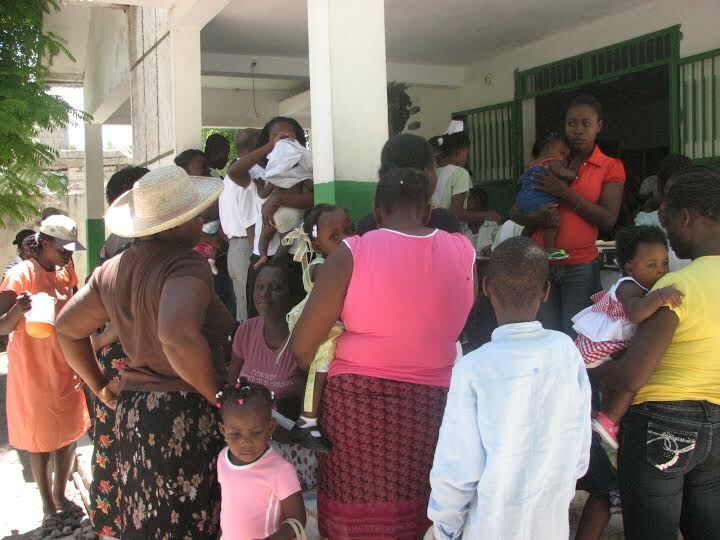 Haitian women understand the importance of maintaining their health, and will seek out medical care if it is offered to them.